Portugal is a strange country. It has some of the most friendly people in Europe, lots of history, serene sceneries, impressive buildings, stunningly good wines (not just the sweet Port wines, but excellent white wines too). Yet the whole country feels so 'dislocated' to the rest of western and southern Europe. It has been part of the EU since the 1980s, yet its level of development and standards of public infrastructure lie several decades behind the rest of Europe (with the exception of Romania and Bulgaria of course, but that's another story). To be honest, when we were in Portugal, we did not feel as though we were in an EU country at all. To a large extent, Portugal feels more like a developing country than a first world developed country. As soon as drove across the bridge over Rio Mino that marks the border between northern Portugal and Spain's Galicia province, you began to see rundown buildings, fields overgrown with weeds, roads with potholes, inadequately-signposted streets that make first-time visitors lose their way, etc. This does not diminish the beauty and attraction of northern Portugal, but it does highlight the gap between Portugal and her neighbours. 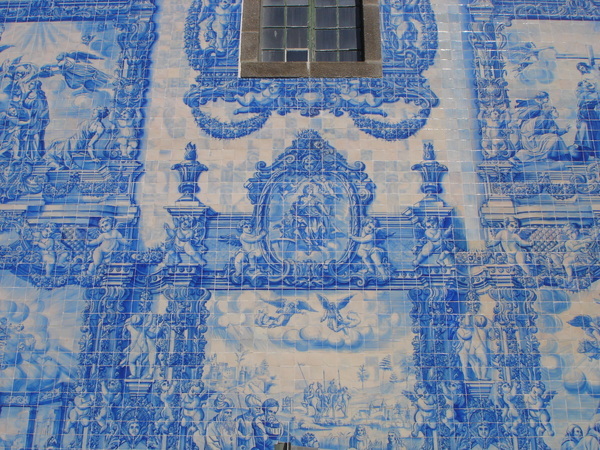 The flair of northern Portugal is strikingly similar to certain parts of Maputo (Capital of Mozambique), also part of the former Portugese colonial empire. (In fact, many towns and cities of the former Portugese empire look very much alike both in terms of appearance and the degree of dilapidation suffered by the colonial buildings - it just seems the Portugese had imparted something of a laissez-faire attitude to all its overseas territories, and such an outlook on life and everything has persisted till this today. Imagine trying to navigate such narrow streets in darkness ... 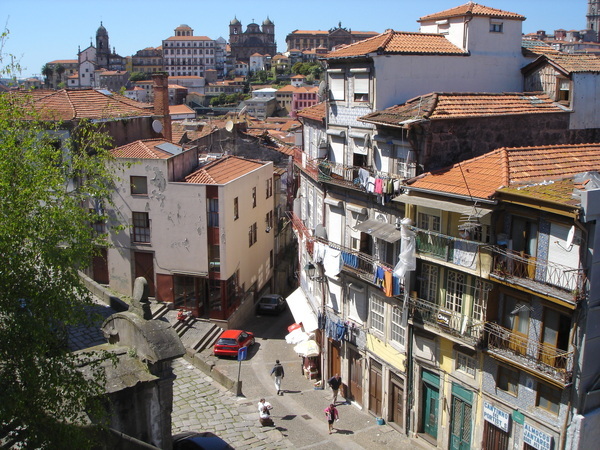 There are a lot of rundown areas such as this one pictured above in Porto and Lisbon. The areas around Porto's main train station are best described as 'messy'. You really feel as if you are somewhere in the slums of Latin America. 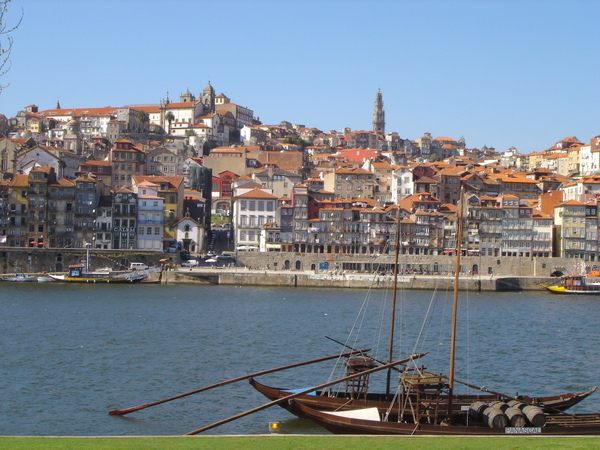 It is actually very safe to walk around in Porto; the inhabitants are very polite and friendly. It is just the rundown buildings, broken windows, giraffiti, tightly closed door and iron shutters, and scattered rubbishes, all invoke the imageries of an urban slum. 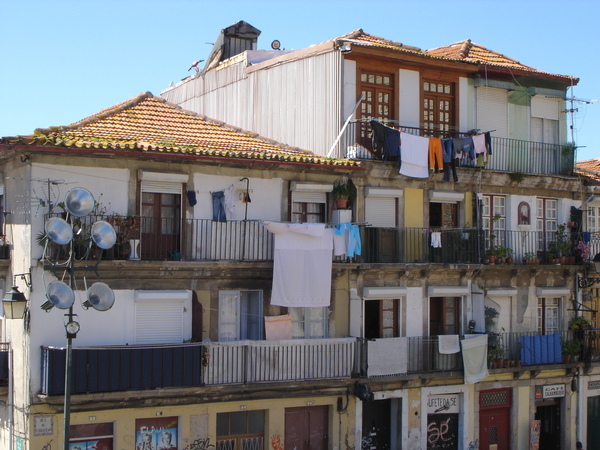 A housing block in the rundown areas of central Porto, near the train station, on the way down to the pier of Rio Douro. The centre of Porto is full of such buildings with patchwork repairs and clever use of make-shift materials. If you do not look closely, you actually will not realise that a large portion of the top storey is constructed from temporary building materials and metal sheets painted in like colours as the rest of the building. A ingenious way of repairing your home using waste materials.